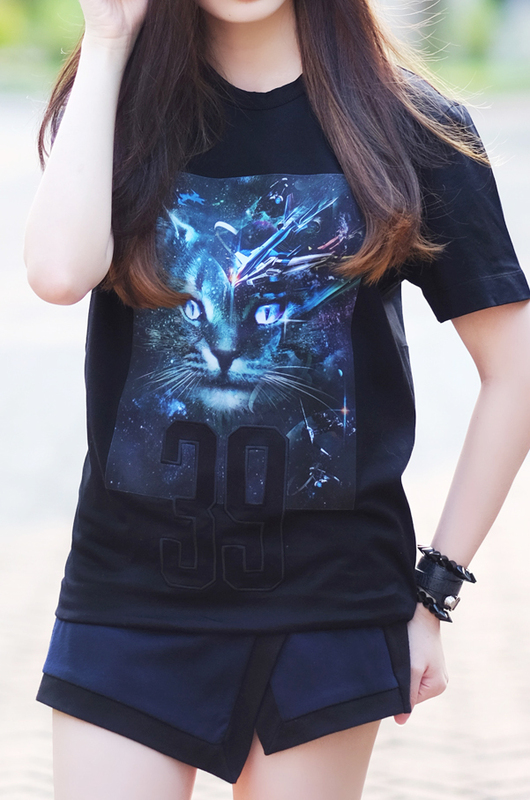 Here's another casual look of mine featuring cosmic cat print t-shirt from SSENSE x Juun J. This shirt has all of the things that I like. First is the cat. If you follow my Instagram @deasytantra, you will know that I'm an animal-lover. Second is the number '39'. Well, the numbers itself does not have a particular meaning for me but it does gives the sporty look on the t-shirt. 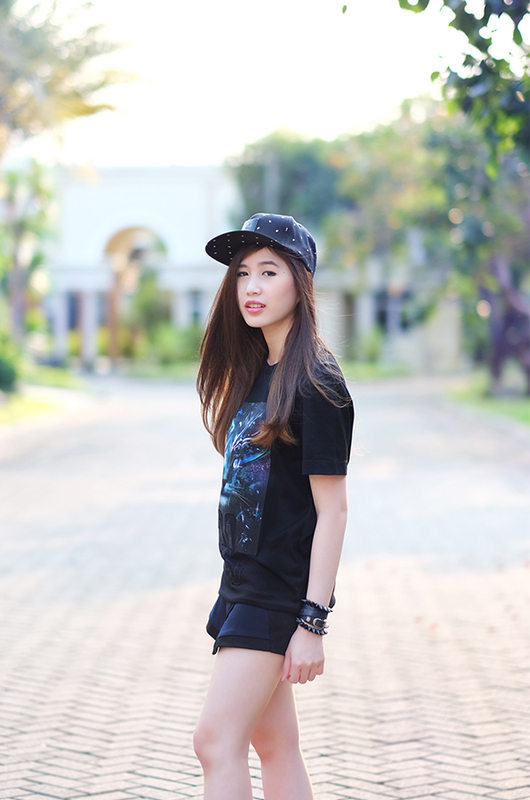 Third is the black color tee, which is my favorite color. Lastly, the Cosmic graphic print. The Cosmic always gives me the sense of mystery. The splash of colours that it has is always nice and inspiring to me. Don't you agree? The shirt is so awesome! I also love the gold on the shoes. Nice! I love the overall looks!